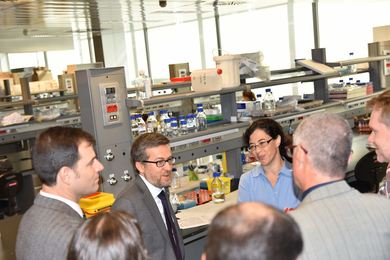 The European Commissioner for Science, Research and Innovation Mr. Carlos Moedas visited last Thursday the Spanish National Center Cardiovascular Research Carlos III (CNIC), which is part of the Distributed Biomedical Imaging Network (ReDIB). 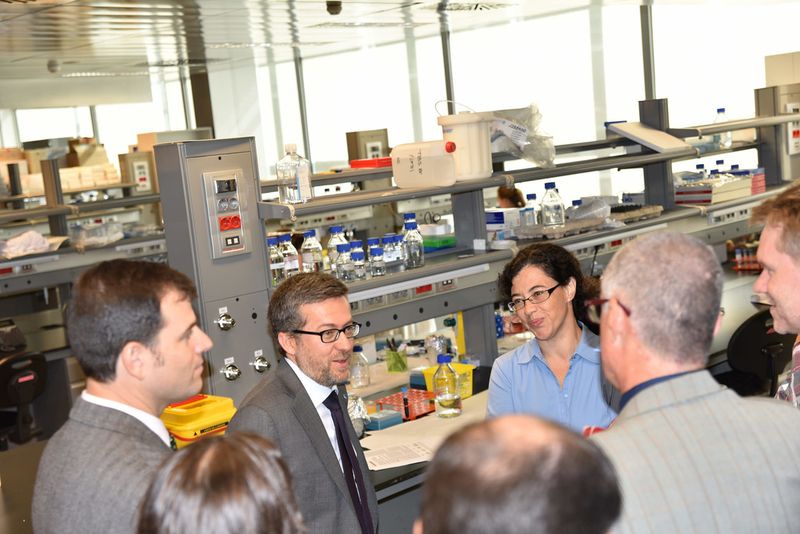 He underlined its importance that is considered a model for research in Spain and Europe. Accompanied by Dr. Jesús Fernández Crespo, Director of Instituto de Salud Carlos III; Dr. Valentín Fuster de Carulla, General Director of CNIC, Mr. Luis de Carlos Bertrán, President of ProCNIC Foundation and Ms. Aránzazu Beristain, Head of the European Commission Representation in Spain, the Commissioner got to know the projects carried out at the center and talked with the principal investigators. CNIC, with public and private funds provided by ProCNIC Foundation, is involved in research projects with a strong translational side into the clinics and it make use of highly advanced and singular imaging techniques. From 2007 the European Union has invested 1000 million of Euros in cardiovascular research through the Program Horizons 2020. Dr. Fuster indicates that the diseases in this field are still the first cause of global mortality.